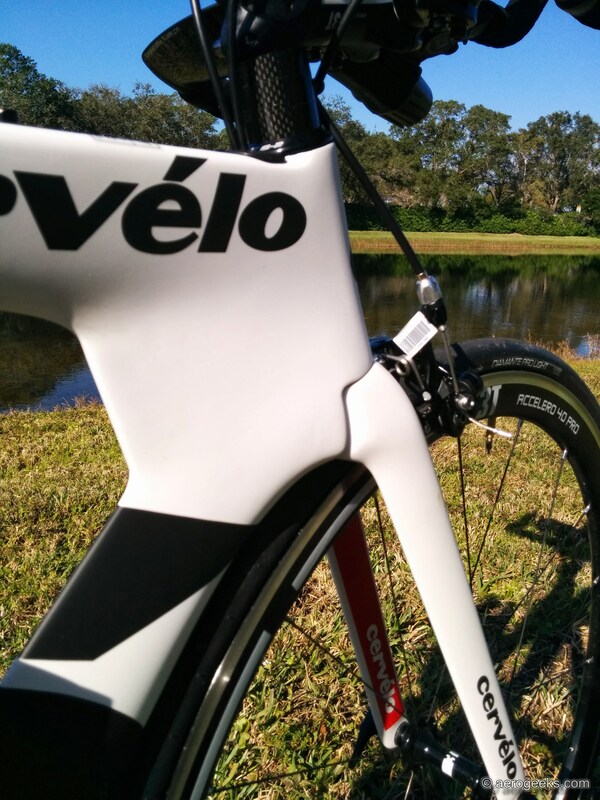 We first took a look at the all new Cervélo P3 last April and were thoroughly impressed and very curious. After all, the original P3 was well respected as the king of tri bikes during its time. Could Cervélo exceed its own expectations with a bike that topped its older brother in performance and functionality? So far, we’re pretty sure Cervélo did just that and more. At first glance, it’s easy to think that the new P3 is really just a small evolutionary update of the original. However, upon closer examination, you’ll realize that the new P3 offers so much more. 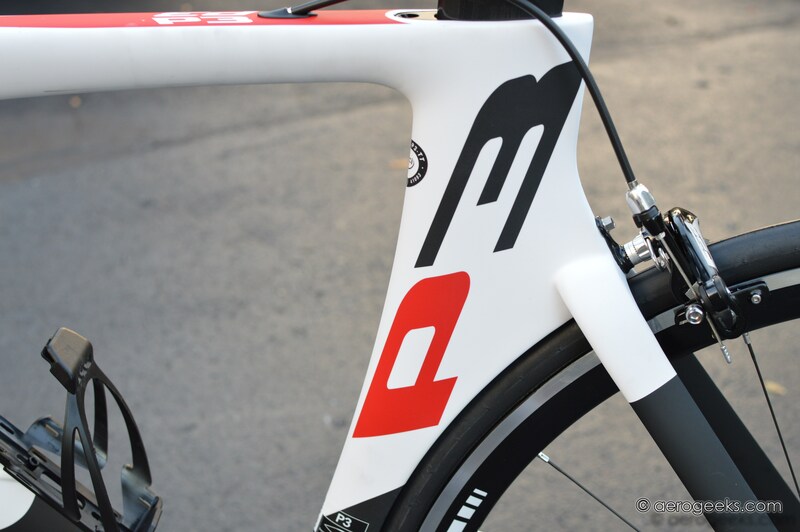 In fact, various design elements of the P3 were heavily influenced by the top-of-the-line P5. For example, the P3 features an enlarged headtube/downtube as well as seat tube/downtube junctions, including bosses for bottles. Cervélo has included an additional bottle boss on the top tube for a bentobox, like those available from XLAB and Torhans. Since triathletes require the ability to carry enough nutrition to get through hours of training, we like the options for additional storage. 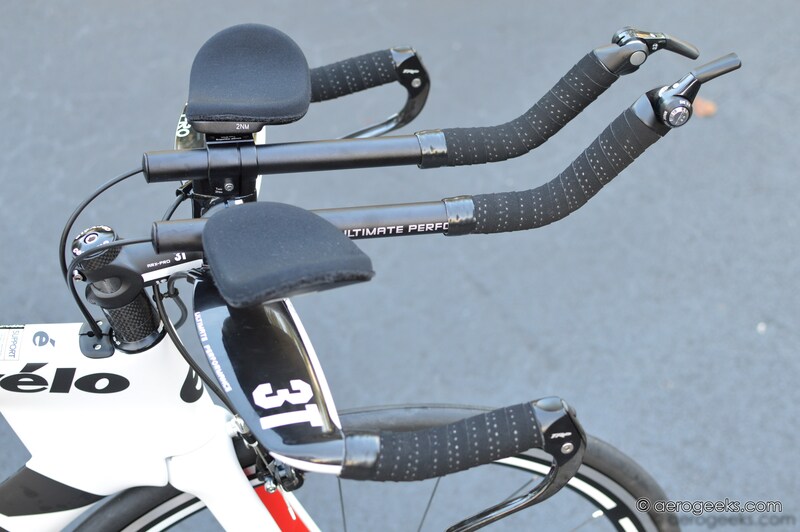 However, the new P3 frame does not utilize the huge seat tube/top tube junction of the P5. Instead, it retains a shape similar to that of the original P3. The new P3 Ultegra Di2 and Dura Ace models utilize Magura RT6 hydraulic brakes—similar to the P5 and Specialized S-Works Shiv. However, we’re testing the Ultegra model, which offers FSA Gossamer Pro brake calipers. Regardless of type, the P3’s brake calipers all appear in the standard position—tucked neatly in front of the frame and right behind the seat post. With a mounting similar to the S5, the rear brake position is not only aerodynamically neutral but also much easier to work on. So far, the brakes have provided impressive stopping power as well. 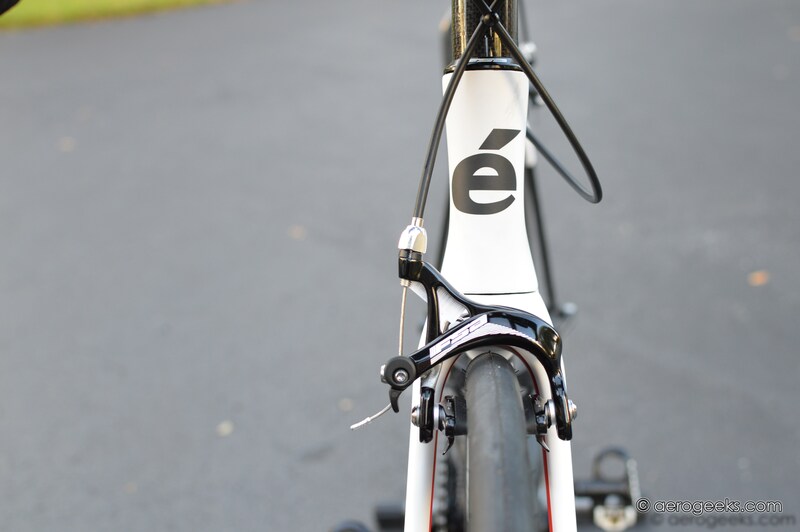 The frame can accept both mechanical and electronic groupsets and features a battery mount located under the down tube. The P3 Ultegra is also equipped with Shimano Ultegra 6800 11spd, a quality 3T Aura cockpit, as well as a set of decent wheels—3T Accelero Pro (700c), Vision Team 30 (650c). As we mentioned in our original first look article last year, so far the only negative we’ve seen lies in the cabling. The brake line runs from the cockpit to the side of the top tube and then again from the top tube to the brake outside of the frame. We realize this is a pretty small nitpick, but nevertheless, it’s something that stood out to us—especially on a $3950 bike. 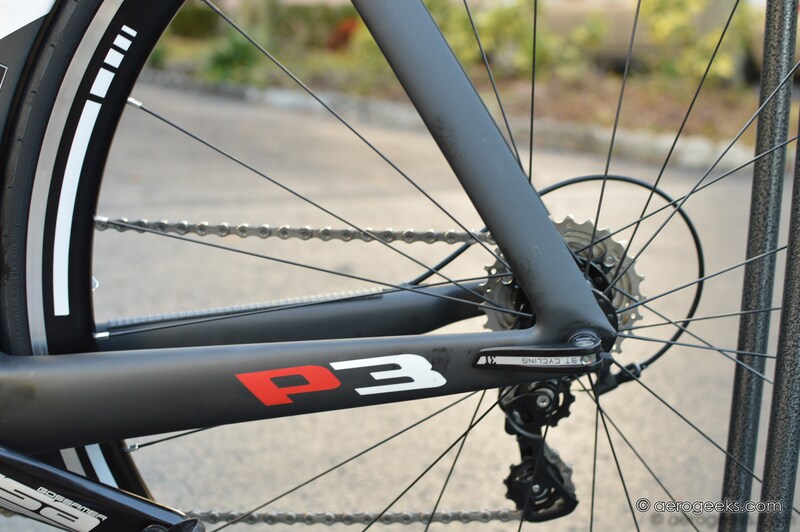 As for fit, the new P3’s frame geometry allows for a less aggressive position than the original. Cervélo also claims that the new P3 offers a wider range of fit options in general. In fact, we’ve found fitting the bike to our staff to be relatively easy thus far. 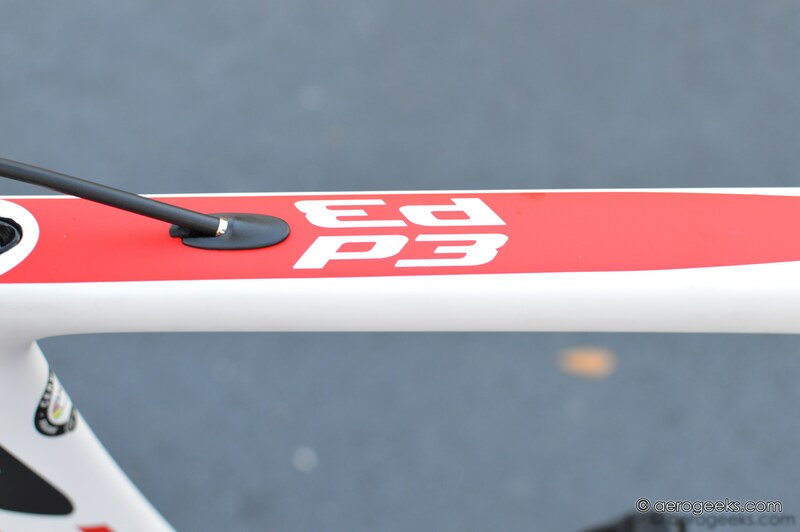 Much of that adjustability is thanks to the P3’s seat post, which again uses the same technology as the P5. 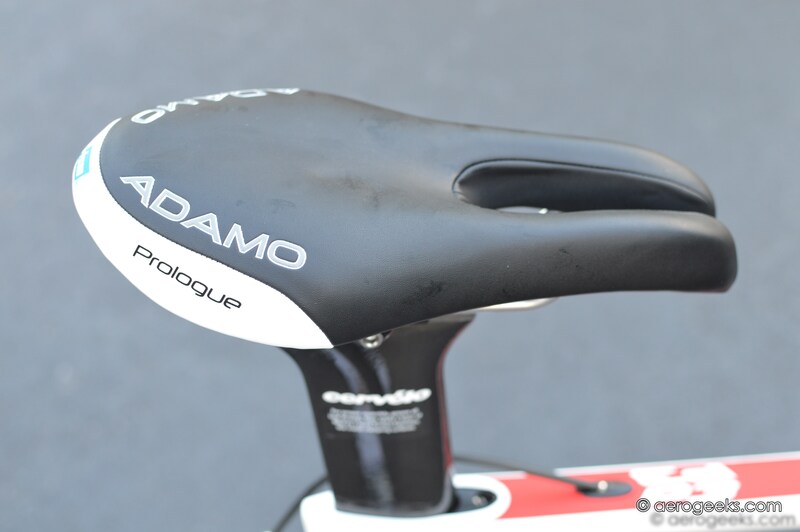 What’s more, the new P3 also includes an Adamo Prologue saddle, which was a very welcome addition. Most triathletes agree that stock saddles are often one of the first things tossed post-purchase (typically even as early as the first fit). They’re just not comfortable. While saddles are a highly personal choice, most of us would agree that Adamo is one of the better options and one that is commonly ridden by many. Now, to address the “elephant in the room”—what do you really get for your money with the P3 when compared with Cervélo’s new P2? Since we have the opportunity to ride both the P2 and P3 side-by-side, we plan to carefully consider this question in weeks to come. But for now, we can say that the frames are identical with the exception of the fork (you’ll find Cervélo’s FK37 fork on the P3 and the Cervélo FK41 on the P2). And of course the P3 does offer a carbon cockpit (3T Aura) as opposed to the Aluminum Profile Design T2 and T4 Wing found on the P2. Finally, the P3 features higher level components—you’ll find Shimano Ultegra 6800 11 spd offered with the P3 and Shimano 105 5700 10 spd with the P2. Additionally, while this is purely personal preference, we have to admit that we’re partial to the more traditional white, black, and red paint job found on the P3 rather than the new blue and white found on the P2. 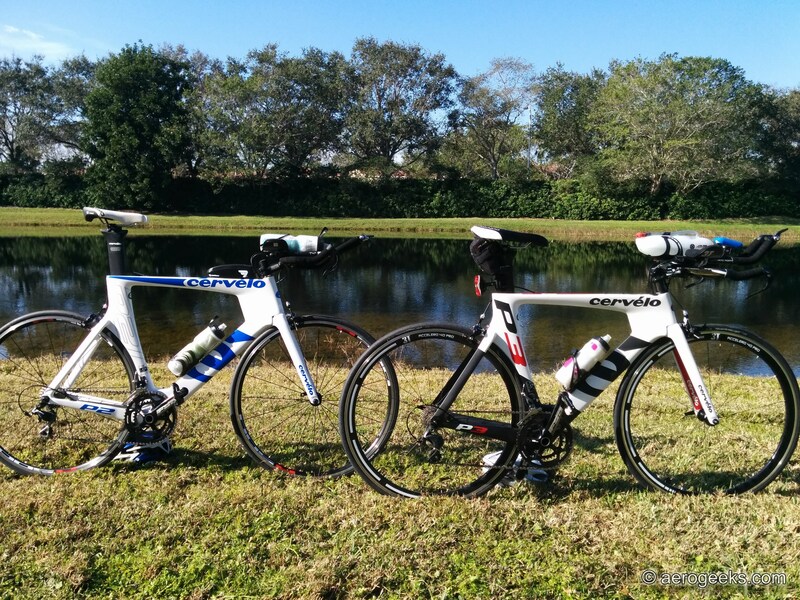 While there are a few more slight differences between the two, we can’t help but notice just how similar these two bikes are. Of course this is one significantly noticeable difference that our budget-minded athletes will take to heart—the P2 will only set you back $2800. All technical details aside, we have to say that so far we’ve had a blast on our first few rides with the P3. The bike is smooth in just about every way possible. The P3 had the ability to dampen the roughness of the road without losing the stiffness and responsiveness we needed through the corners. We plan on putting the P3 through its paces for another couple months as well as adding on a set of aero wheels to really see what it’s made of. If you have any specific questions about the bike, or if you’d like to suggest possible test scenarios, please feel free to contact us. Otherwise, be sure to check back for our final thoughts in the coming months. In its’ third season, Cervelo P5 with reported custom and intuitive storage solutions has trickled down to the rest of the Ps but still no integrated aero storage solution for the bosses at the junction of seat tube and down tube. The Weggie or cannibalized TorHans is ok for others, but I don’t get it. It took Specialized years to bring their Shiv storage/faring to market. Any serious insight from Cervelo or Xlab on their efforts here? Maybe DarkSpeedWorks will be first. Go Get It! Hi Casey – we have spoken with a number of manufacturers regarding this but no official word yet. Our fingers are crossed we see something at Interbike in September. I was a little upset when I bought my P3 when I found out the the P2 frame is ALMOST a direct copy of the P3 (minus the fork ofcourse). Given the same spec, wheels and all, will the P3 still be faster than the P2? Here in our country, the P3 frameset is sold around the same price as the P2 2014. I may be able to build a P3-ish spec’d P2 (Magura + Rotor + DI2) for a much lower pricepoint. What do you think? 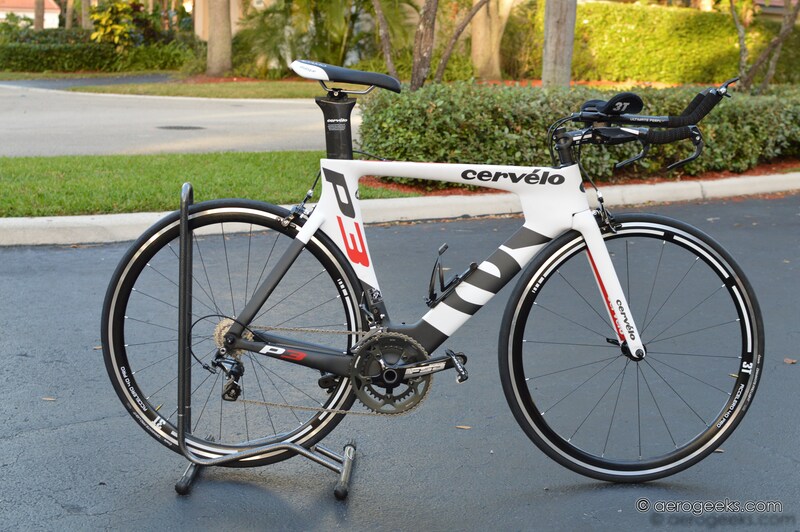 According to Cervelo – the P3 fork is faster but almost un-measurably so. In regards to building out a P3ish spec’d P2 – it comes down to what prices you get everything for. Remember the P3 does come with a carbon cockpit and better wheels as well. i have struggled to match my speed on my new p3 as compared to my 2012 p3. A little different fit and a stiff bottom bracket? need to have the shop check the bottom bracket, does not spin freely. What the heck is with the flat white paint. It picks up and grease from a wet rag when you clean the bike. It looks worse after you clean it than before. You have to hit each spot with degreaser on a clean cloth to make it look good. What a pain in the saddle. 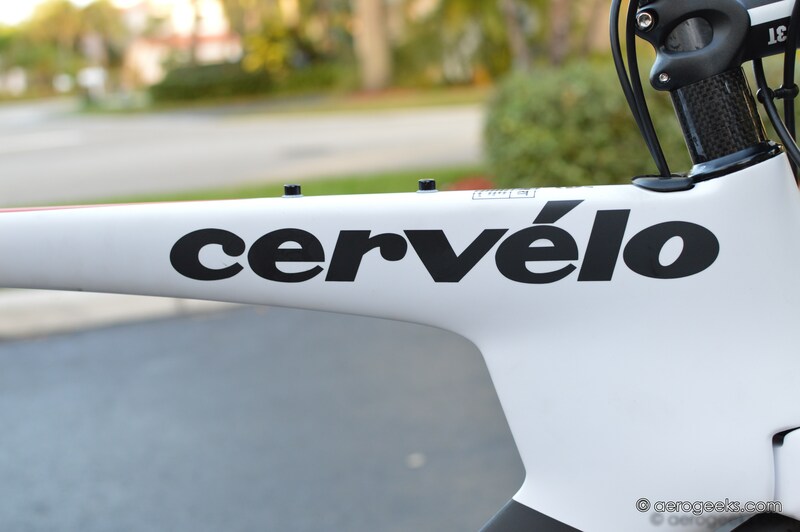 Cervelo, do better in 2015.